Whether your needs are for Temporary staffing from light industrial to administrative, Executive Recruiting and Professional Placement for senior-level talent in Finance, Mortgage, Human Resources or Health Care, Corporate Job Bank has proven methods to efficiently and costs-effectively meet your needs. Corporate Job Bank provides Professional Placement and Executive Search Solutions for many local companies across several major industries. With nearly three decades in the staffing industry, our team of season Executive Recruiters has refined the Executive Search process through proven measures that consistently lead to successful placements in the senior-level talent arena. 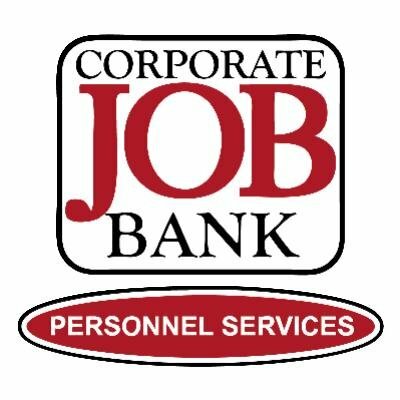 Corporate Job Bank has placed specialty or management-level talent in Manufacturing, Accounting and Finance, Health Care, Mortgage, Property Management and Technology companies at the State and National level. Our approach to recruiting begins with your company, not the job description. To present you with the most qualified candidates, we want to get to know the employer, company culture, mission and values. We use this during the screening process to narrow down the top candidates who possess not only the specific hard skills and experience for the essential job functions, but also those soft-skills that can predict future performance, loyalty, and ability to quickly assimilate thus reducing the learning curve and arriving at productivity faster. Each of our Executive Recruiters is established within the employment market they serve. We are able to connect with the top-level candidates already in the workforce, through a strong network of referrals, personal relationships and community involvement. It is this commitment to quality over quantity that makes your hiring decision a simple and positive process.